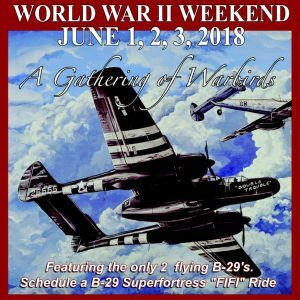 World War II Weekend is a 3-day public commemoration produced by the Mid-Atlantic Air Museum to showcase all things World War II. Watch vintage aircraft take flighto, get up close and personal with military vehicles, hear first-hand accounts from WWII vets and even enjoy live music and dancing that gives you a blast from the past. Wordpress powers tomswarbirds – NewsFeed. Layers theme Designed by Jai Pandya.